...and ordered one of them Purple beds. Didn't go with the original, went with the new design which has a coil spring base topped with memory foam and then a 4-inch layer of their hyper-elastic polymer. Had a high-end Serta dual (Top & Bottom) pillow top mattress for 18 years now and it has served us well, but it needs to be retired because she's pretty saggy. Delivery of the new bed is scheduled for Monday. Can't wait to give it a try. Purple gives you a no hassle 100-day trial period. If you don't like it they come pick it back up and refund your money. Well let us know, my neighbor bought one of the originals and after a few people slept on it they called the company and.......they sent 1-800-got-junk ! Who came to take it away. Hope the new one is better for you ! The original model was just memory foam and a thin layer of the hyper-elastic polymer (no coils as a core). The new design is supposed to be much better. I guess we'll see! well like I said I hope it's better.....we need to buy a mattress for guest room (we have a ton in summer) and if it's good I would look into it . I've fully inspected the old setup and it was all still fully functional, just the mattress was worn out after 18 years of sleepin' & shaggin'! In fact I had to remove my old box springs and the associated mattress supports because I needed to replace them with a base that wouldn't void the Purple warranty. Their platform base now resides perfectly inside of my wooden frame/headboard/footboard. You are not supposed to use a standard set of box springs with the Purple mattress because they don't provide the correct support. Either you use Purple's platform base or you place the mattress directly on the floor. The king size Purple 4 mattress weighs in at a hefty 175 lbs! That was one thing I really enjoyed about the waterbed I had years ago... you could adjust the temp of the water in the bed to suit the seasons. I had to get rid of mine when I married too! Wife was not a fan of the full motion waterbed. I'm a hot sleeper which is another reason I went with the new Purple mattress. That top 4-inches of polymer allows for ventilation keeping the mattress feeling very cool. This is a cutaway of the mattress. Three years ago we went with a Red Diamond foam mattress on a lighting deal from Amazon. We spent less than $300 on the mattress and it is the best one we have ever bought. It sits on a pedestal bed with no box springs. I've got a bad back and this mattress provides the support and comfort I need to get a good nights sleep. The dog loves it as well. Wife and I are on the Serta iComfort with is gel infused memory foam. 5 years later and we love everything about them except they are still a bit warm in the Summer months. The gel helps a lot but not a complete solution. My Purple 4 mattress arrived late last night. By the time we got the old mattress pulled out and the new one put in and made up it was pretty late. I must admit when I finally crawled into bed late last night the bed initially felt very soft like a thick pillow top would, but once I spread myself out the feeling was similar to floating on water. The bed felt much cooler than my previous mattress too which was one of my major motivations for switching to a Purple and not going with memory foam. Only got about 4 hours sleep before I had to get up and head to work, but I did sleep well for those 4 hours! Night #2 is in the books and I did something I haven't done in a long time... slept for 8+ hours straight!! I DID NOT want to get of bed this morning because I was just too damn comfortable. I guess my old mattress was much worse than I had thought. Looking at my sleep pattern last night via my Fitbit app shows I had significantly more "Deep Sleep" stages compared to what I had been seeing over the past 6 months. Glad to hear! 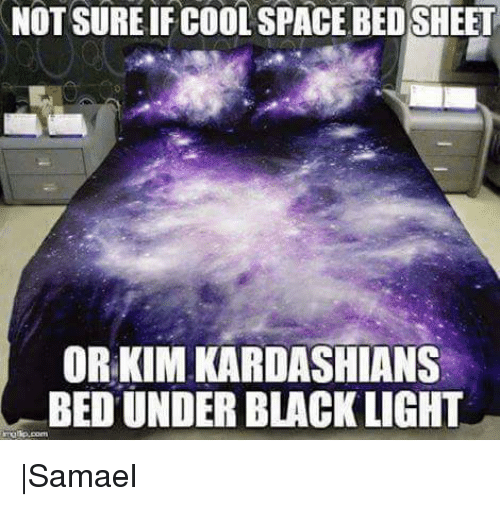 That purple bed thing seemed like a gimmick. But I'm curious. Those patterned boxes... do you feel them at all? When you have sheets and such on the bed, does it feel any different at all (other than more comfortable)? Where did you test it/try it before you bought one? 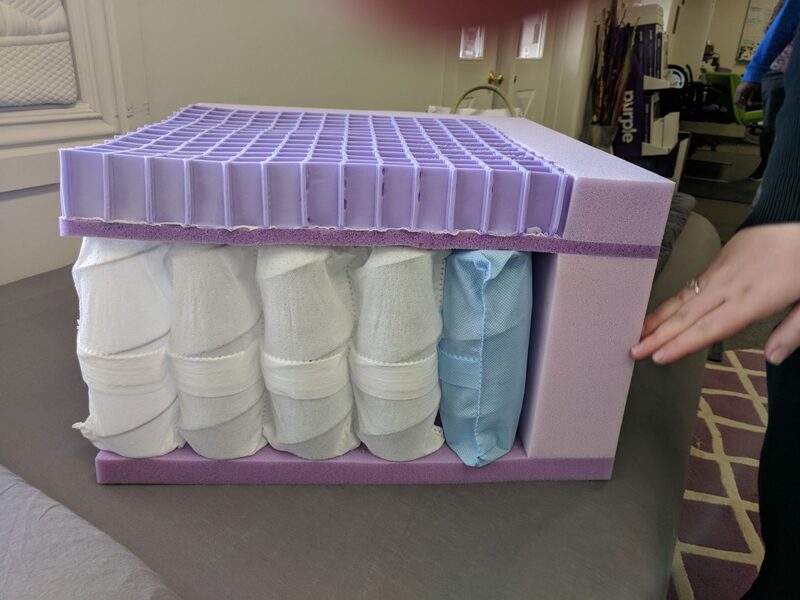 If you have a mattress bag and a sheet between you and the mattress you don't feel the grid of polymer under you. However the feeling when you're flat on your back on the mattress is hard to explain, almost like laying on an inflatable pool lounger on perfectly calm water. There's no place I'm aware of where you can "test" a Purple mattress. They do however offer a free 100-day trial period. if you don't like it they'll come pick it back up and refund your money. After two weeks of using this mattress I'm totally sold! Unless it falls apart before the 100 days are up I won't be calling Purple for a refund. I've been trying to come up with a more accurate description of how this mattress feels when you lay on it. It's really hard to describe it though... I guess it feels like someone put a thick layer of firm jello on top of a firm coil spring mattress. Although this is the model 4 with 4-inches of their polymer you don't sink that deep into it. This probably won't make sense to some of you, but it reminds me of Jello with an extra package or two of Knox gelatin mixed in. It is really very comfortable and much cooler than a standard mattress. P.S. Their bamboo sheets rock too! Also, when you say "Jello," are you referring to the original Jello Gelatine, Jello Pudding or Jello Pudding Pops? And are you talking about the consistency of Jello mixed with one, or two packages of Knox Gelatine? You must admit, you've left quite a bit of wiggle room in your description. Sorry, I was referring to the original non-sugar free Jello of any flavor. As far as the ratio of Jello to Knox... There are usually 4 individual packages of Knox per 1-ounce box. I would say the ratio was 1.3 packages of Knox to each 3-ounce package of Jello. Did anyone's Mom here make Knox Blox for you when you were a kid? I've never heard of Knox blocks. What are they? All times are GMT -5. The time now is 07:21pm.